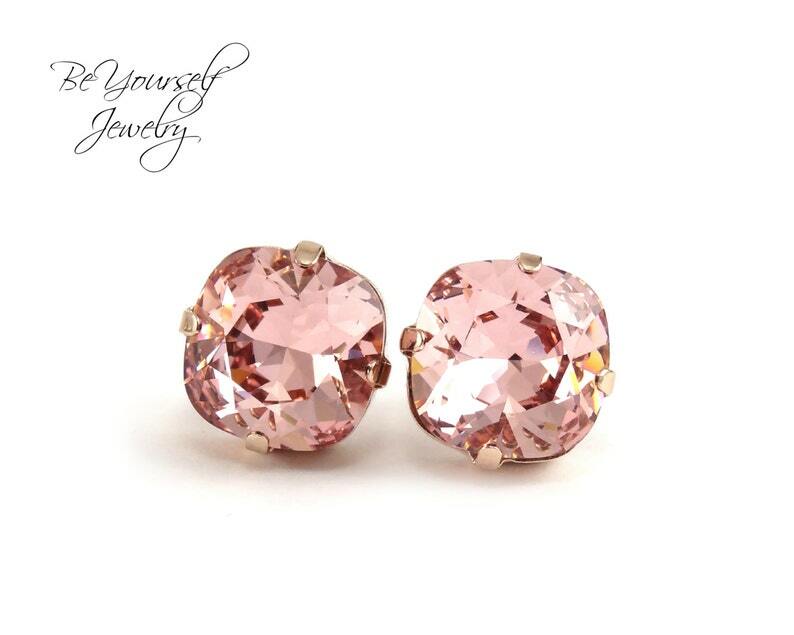 Super sparkly blush studs made with the gorgeous Swarovski Crystal cushion cut stones in in Vintage Rose with Rose Gold accents. Perfect for weddings and special occasions but trust me, you will wear them all year long! These crystal fancy stones are designed with precise machine-cut facet patterns that produce the signature Swarovski sparkle. - This is a tarnish resistant, nickel, lead and cadimium free jewelry!